As many of you know, ACYS is relocating after recently losing out on the bid for the fields at Trotters Park. We believe ACYS is all about people, from our players to their parents to our church and school partners and our exceptional Coaches and Staff. ACYS has had many homes over the last 30+ years and while we placed a strong bid in the hopes of staying at Trotters, the winning bid of $277,000.00 per year was not an option for our nonprofit organization as it would have resulted in a very significant and burdensome increase in our membership fees across all programs. Knowing the uncertainties of any bid process, we started looking at alternate fields long before the bid completion. Since the bid, we have aggressively worked to firm up a plan to best meet the needs of our teams and families. Fortunately, ACYS is blessed to have a number of longstanding partnerships with both private and public entities, including the City of Orlando, City of Winter Park, Orange County, and many schools and churches. ACYS has a long history of regularly leasing space for various programming from many different partners, allowing us to rely on those relationships now to secure the new field space our teams will need. We are pleased to confirm that we already have contracts in place with a number of our long-term partners for fields for the Fall 2018 season. While no one facility is large enough to handle all of our programming, we are working hard to finalize a global field plan which keeps as many teams together in one location as possible in order to maintain our connection as a Club and to help families with multiple children playing. To begin, the ACYS Office and Factory will remain in use for the remainder of 2018. That means that all ACYS business, technical, speed, agility and strength training sessions, and camps currently held at the ACYS Office will continue as usual for the remainder of the year. Also, Summer Spirit United training sessions will be held as usual at Ward Park in Winter Park. For the Fall 2018 season, our soccer (both Spirit United and developmental) and flag football game and training fields will include MLK Park in Winter Park, Braddock Park in Winter Garden, Dr. Phillips Park in Orlando, Emery Hamilton Park in Orlando, Glenridge Middle school/Blue Jacket Park in Orlando, Hungerford Prep fields in Eatonville, Lake Fairview Park in Orlando, Northwest Recreation Complex in Apopka, and fields at a number of local schools and churches. In addition, we have discussions ongoing with a number of our other various partners and will finalize the field rentals once the competitive teams are formed up and we determine our needs. We are well aware of the importance of keeping families close to their homes with convenient field locations, especially at the younger ages, and will make every effort to do just that when teams are assigned field space for both training and games. 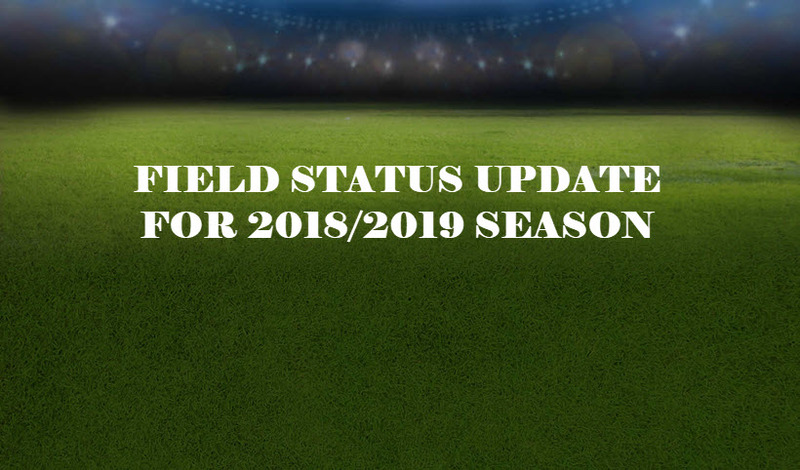 Given our large size and multiple programs across many sports, field leasing and team assignments is a large task so at this time, we are unable to promise any person or team a specific field location, but we will get the team assignments out as early as possible prior to the August start date. That being said, we can confirm that our Spirit United Trotters based teams will not all be commuting to Apopka or Winter Garden for games and training as we already have centrally located space secure for their use. Likewise, for our Braddock based teams, we have expanded our field leasing on their side of town. One silver lining in this process is that the use of multiple fields in different parts of town should actually help many of our families train and play closer to their homes. Ultimately, if the team field assignment is just not workable for your family, we will make every effort to accommodate your needs, up to and including a player release. We are appreciative of your patience during this process and we would like to thank everyone for their support, hard work and commitment over the years. On a final note, please remember that sometimes the true blessings in life are not in what God gives, but in what He takes away. ACYS is about much more than a field address. ACYS is about a dynamic and committed staff, a generous and diverse membership and most importantly, some pretty amazing kids. We look forward to seeing what this new chapter in the ACYS story will bring and are so grateful to have the opportunity to continue to make a positive impact for Christ on thousands of children and families in the year ahead through our programs in competitive soccer, developmental soccer, flag football, basketball, TOPSoccer, cross country, kickball, and cheer. Looking forward to seeing everyone at tryouts. If you have any further questions regarding the field status, we will have staff on hand at tryouts to discuss the details further.